India is often portrayed to be a batting-heavy cricketing country. Our youngsters are swayed by batting heroics and tend to idolise batsmen like Sachin Tendulkar, Rahul Dravid, Sourav Ganguly, Virat Kohli etc., a privilege rarely extended to bowlers. Most of the budding cricketers from India often aspire to become batsmen. Films have been made on the lives of MS Dhoni, Mohammed Azharuddin, Sachin Tendulkar, all of whom are batsmen. This is an indication of the fact that batsmen often attract more viewership than bowlers. However, one must be careful enough not to underestimate India's bowling capabilities. India has produced some exceptional bowling talents, especially in Test Cricket. Here we have a look at five world records held by Indian bowlers in Test Cricket. Off-spinner Ravichandran Ashwin is undoubtedly one of the best bowlers in the world right now in the longest format. After just 57 matches, Ashwin already holds the record for the most number of player of the series awards by an Indian in Tests, with seven to his name. 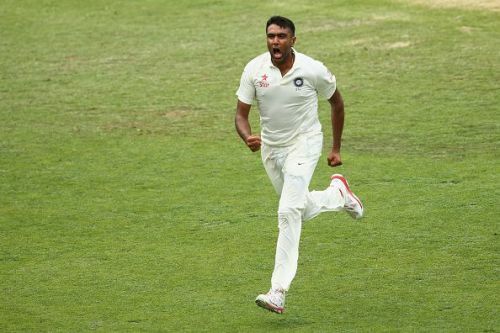 Ashwin is the fastest to both 250 and 300 wickets in Test history. He bagged his 250th Test wicket in the one-off Test against Bangladesh in February 2017, which was his 45th Test match. His 300th wicket came against Sri Lanka in November 2017 in his 54th Test. Both these feats were previously held by Australian legend Dennis Lillee. In terms of the number of days to reach 300 Test scalps, Ashwin is the second fastest, having taken six years and 18 days to reach a triple century of wickets. Shane Warne continues to be at the top of this list, having taken exactly six years to reach 300 wickets.